I've got a Birthday brother dinner coming up. 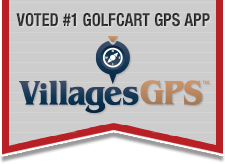 What are your best Village restaurant choices for that 'special' free promotion? Last edited by SFSkol; 11-20-2018 at 07:05 PM. Free fried chicken dinner on your birthday at McCalls Restaurant, inside Spanish Springs Lanes. Don't know the answer to your question, but I will say that you can't beat the fried chicken at McCalls. Duh, free...maybe you could bake him a birthday cake??? I vote for Jersey Mike's. Free fried chicken? Wow that is worth the drive! I would never endure the servers singing "Happy Birthday" just to cop a freebie.